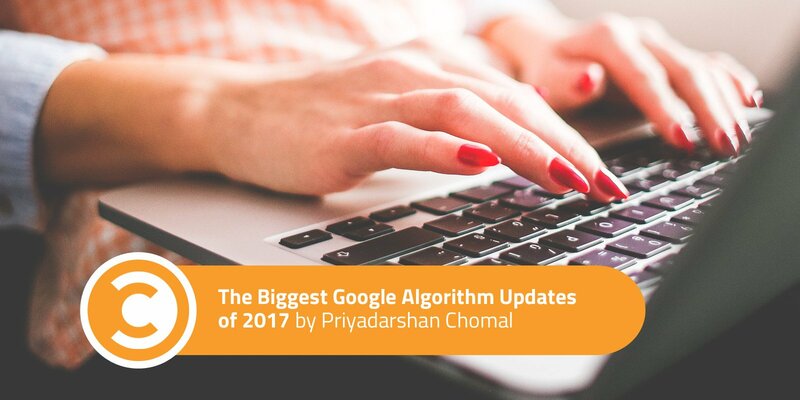 Google brought forth a number of major updates for its ranking algorithm in 2017. From targeting intrusive advertising to low-quality content, we saw quite a lot of change taking place. The search engine began the year by fixing intrusive interstitials, which covered content and ruined the experience for the users. Then came a tweak that dealt with links. The nature of the update led people to speculate that it was related to the Penguin update, but Google remained silent on this unconfirmed update. In the beginning of February 2017, some users noticed an unconfirmed update that had something to do with the content quality. The search engine takes content quality seriously, which was evident from the Fred Update (named by Gary Illyes). This update came down on sites with low-quality content and focused solely on revenue generation. May also saw a wide-ranging quality update, which industry experts noticed. This update hit the SERPs. By mid-2017, industry experts started noticing fluctuations in site rankings across the different country domains. The movement was evident in the rank tracking tools, but Google never acknowledged it. The search engine giant brought forth some more updates in the month of August. An unconfirmed update came down heavily on sites with subpar UX, technical SEO issues, disruptive advertising, and multiple category/tag pages that didn’t offer any unique content. It became evident by this time that Google prioritizes user experience. Next up was a local update known as Hawk, which reversed the changes Possum had put into effect. This led to the removal of a filter, which prevented local businesses with a shared address or building from being a part of the same pack. Later in the year, the search engine took into consideration users’ locations for search results. Google deterred users from accessing international results simply by changing the Google ccTLD and displayed results relevant to their location only. This update saw a spike in AdWords ads but a drop in the local packs of SERPs. Google wrapped the year by increasing the length of meta descriptions from 160 to 230 characters and introducing Maccabees. This update hit sites with doorway pages that targeted multiple subcategories or locations with various keyword permutations in the content. Make your website easy to crawl and index. One of the basics is to include a sitemap without fail. Don’t compromise on the content on your website. Build up a steady database of unique content that offers rich information to your users. Provide useful content to encourage the audience to link to the site or web page. Invest in quality backlink building, as this will help you get an edge over the competition. Give user experience a priority on your website. These are some of the basic ways you can ensure the updates don’t adversely affect your website. While we’re never sure what new surprises (or shockers) may spring up in the future, making efforts and keeping a tab on the updates as they are introduced can lend you a helping hand.